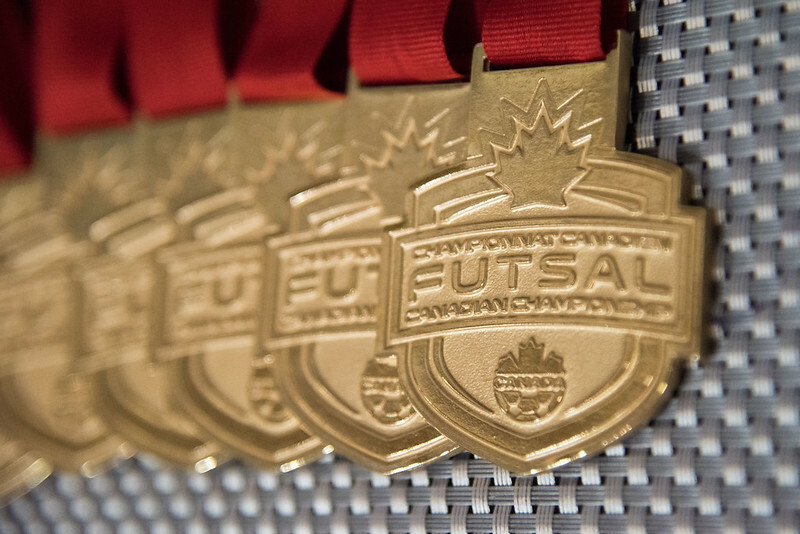 Futsal was on display in all its forms at Durham College in Oshawa, ON 9-10 April as Canada Soccer’s 2016 Futsal Canadian Championships provided showcase and development opportunities for referees, coaches, men, women and youth in the futsal community. Hosted this year by the Ontario Soccer Association, Ontario’s Toronto United Futsal men defeated Sparte FC from Montreal, QC 8-6 in an exciting two-leg final that was livestreamed on CanadaSoccer.com and attended by 200 boisterous fans and supporters. Prior to kick-off of the national final, the 2016 U-16 Boys Ontario Futsal Cup was won by the Brampton Blast who defeated the Ottawa Storm 7-4 in a competitive final. A strong women’s squad assembled from Quebec’s top Futsal players defeated Futsal Club Toronto’s women 3-1 in an exhibition match following the first leg of the Futsal Canadian Championship on Saturday. That game was also livestreamed at CanadaSoccer.com. At the national level, Canada’s National Futsal team is in preparations for the two-match, play-in series against the US on 4-5 May ahead of CONCACAF qualification for the 2016 Futsal World Cup Columbia 10 September – 1 October. Head coach Kyt Selaidopoulos took the opportunity to bring together a select group for a training session Sunday morning. The weekend was rounded out by a futsal-specific coaching clinic run by Selaidopoulos and a referee clinic.